During the last years I have done research on waves as natural, economic and sports resources. In fact that was the name of the first Global Wave Conference held in La Laguna University, Canary Islands, Spain. Waves are a limited resource that can be valued and need to be protected. I have studied different legal strategies for wave protection, in foreign countries such as the United States, Mexico, Chile and Peru. I have also been involved in different projects in the fields of wave rehabilitation and wave creation. Angel Lobo Rodrigo has a PhD in Administrative Law from the University of La Laguna, Tenerife, Canary Islands, Spain. 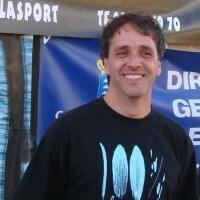 He is has been the President of the Canary Islands Surfing Federation since 2002 and is also Vice President of the Spanish Surfing Federation Surfing. Angel is a specialist in Regional Planning and coastal management. As Co-director of the First Conference on the Protection of the Waves as a Natural, Economic and Sports Resource (held in La Laguna, February 2010) Angel Lobo has participated in all Global Wave Conferences.